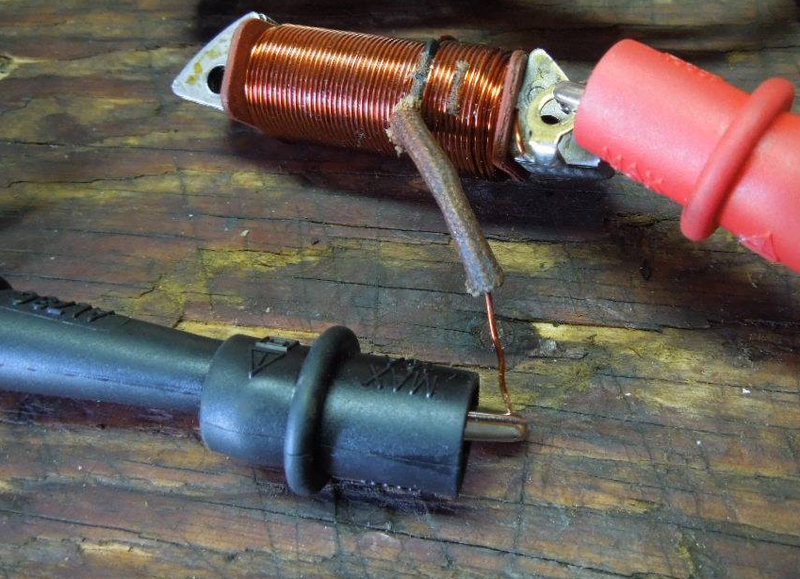 Learn how to properly test your magneto, stator or pickup coils. This works for breaker point and CDI type ignition systems. The main tools you will need to do these tests are 1) The Service Manual for your particular bike 2) an inexpensive multi-meter to measure ohms of resistance. How does one go about diagnosing a "no spark" situation? First off the most common reason for no spark is that some component in the ignition system is grounding of the circuit. 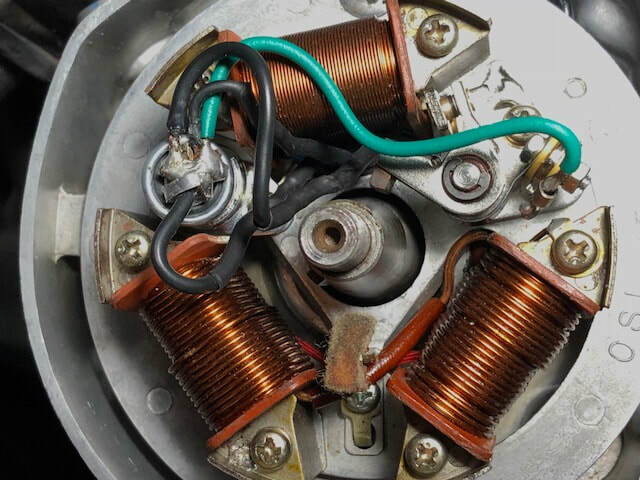 Contrary to what most people believe all motorcycle ignition systems work on a principal of inducing a current int a coil of wire using magnets on the flywheel. If a component in the system is able to allow that induced current to find a path of least resistance, a ground, the current will go there instead of making its way to the electrode of the spark plug to jump the gap. Most common components to check in the ignition, refer to your service manual for more detail and proper procedures. Kill Switch: be sure it is not ground out the ignition, disconnect for testing. Breaker point(s) and condenser: replace rather than testing, these parts commonly fail due to age and wear, they are VERY common for causing "no spark"
Magneto coils: as seen in the video above, for vintage bikes this is the most common reason for not having spark, the insulation has broken down so current induction cannot occur. Essentially this is the resistance that the test performs.